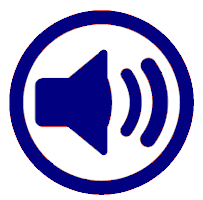 Sound is a form of energy caused by Ultrasounddeafnessdetecteareardrumechogasesloudmediumnoisysolidsspeedvibrations . Sound needs a Ultrasounddeafnessdetecteareardrumechogasesloudmediumnoisysolidsspeedvibrations in which to travel. The Ultrasounddeafnessdetecteareardrumechogasesloudmediumnoisysolidsspeedvibrations of sound depends upon the medium through which it travels. It travels faster through Ultrasounddeafnessdetecteareardrumechogasesloudmediumnoisysolidsspeedvibrations than Ultrasounddeafnessdetecteareardrumechogasesloudmediumnoisysolidsspeedvibrations . Sound can be reflected off surfaces by means of an Ultrasounddeafnessdetecteareardrumechogasesloudmediumnoisysolidsspeedvibrations . Ultrasounddeafnessdetecteareardrumechogasesloudmediumnoisysolidsspeedvibrations is a high pitched sound beyond the detection of the human Ultrasounddeafnessdetecteareardrumechogasesloudmediumnoisysolidsspeedvibrations . Humans Ultrasounddeafnessdetecteareardrumechogasesloudmediumnoisysolidsspeedvibrations sound in the inner ear after it causes the Ultrasounddeafnessdetecteareardrumechogasesloudmediumnoisysolidsspeedvibrations to vibrate. Very Ultrasounddeafnessdetecteareardrumechogasesloudmediumnoisysolidsspeedvibrations sounds can cause Ultrasounddeafnessdetecteareardrumechogasesloudmediumnoisysolidsspeedvibrations . Ear protection should be worn in Ultrasounddeafnessdetecteareardrumechogasesloudmediumnoisysolidsspeedvibrations places.